Make your holiday season extra special with these unique, exclusive finds at Walmart Black Friday! If you know me, you know that I love the holiday season in the biggest possible way. I love the music. I love the twinkling lights. I love the decorations. I love the family time. I love gifting all.the.presents. I wish it could last year round because it always seems to go too quickly. This year, I’m focusing on soaking in all the memories and experiences this magical time of year has to offer. Come along as I share some of my favorite products, tips and hacks to help capture the joy of the season! Thanksgiving is widely accepted as the official kick off to the holiday season. After a yummy meal and family shenangians, it’s time for some serious Black Friday shopping. Walmart Black Friday is hands down the place to get your shopping done. Walmart offers something for absolutely everyone on your list — including yourself! — all at fantastic prices. I’ve been Black Friday shopping for years. It’s a regular tradition at this point. It’s so much fun to go, especially with family or friends. And it feels great to wipe out your list in one big swoop! I’m super excited about how easy Walmart is making Black Friday this year. I think you’ll be impressed, too. 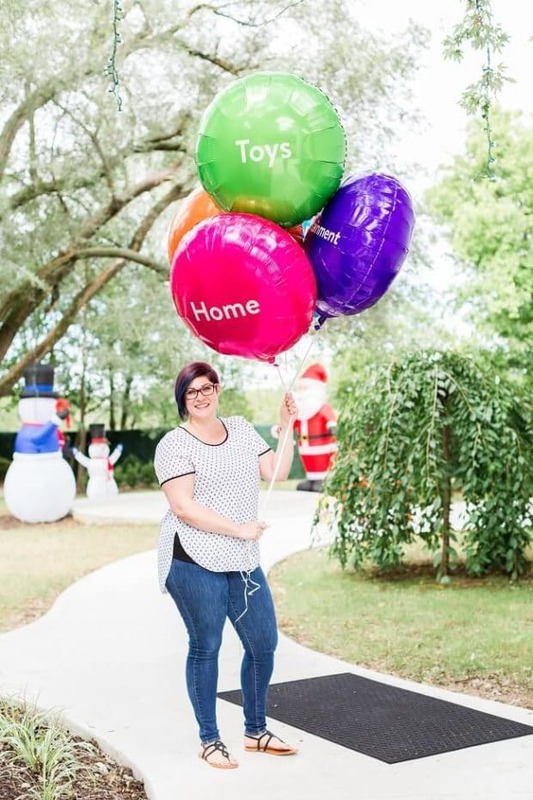 Shopping has never been easier — Walmart has been actively working to make sure Black Friday shopping is a fun and simple event that you can really enjoy. A feature I love this year: each department in the store will be assigned a color, readily seen thanks to balloons and banners. Associates working in that area will have color coordinated vests on too, making it even easier to find help if you need it. This year, I’m joining the Coffee and Cookies event from 4-6pm on Thanksgiving Day to kick off my Black Friday shopping. After getting fueled up with Keurig coffee, you’ll be ready to tackle the sales starting at 6pm, except where prohibited by law. Check your local store for hours. I am a list girl. I love me a good list. And chances are, if I don’t write it down, I will completely forget about it in approximately two seconds. This year I’m pulling a Santa — I’m making my list and checking it twice. Before heading to the Walmart Black Friday, I made a plan of attack for all the items I want to gift this year. I wrote down everyone I’m buying for and what I’m grabbing them. I also noted if I needed any special wrapping supplies for those items — like an extra large bag, etc. Walmart has such a great selection of wrapping supplies and bags! I’m also not just grabbing gifts, I’m grabbing items for around the house a couple of goodies for myself, too! Black Friday is the perfect opportunity to snag great items from my home as well as I prepare for the holidays ahead. Why save everything just for Christmas morning? I think you should enjoy some of these Black Friday goodies right now! Armed with my list, I’m able to use the Walmart app to find the exact location of the items I’m getting. The app will actually drop a pin to the item which makes it easy breezy to find. There will also be printed store-specific maps at each store as well. I’m all about that efficiency! Another new feature this year is “Checkout with Me” associates who will be floating in the store, ready to help with quick checkouts of just an item or two. Traditional check out lanes will be faster this year as well, saving time and eliminating stress. I know you’re excited to shop now — so let me give you some ideas for what to grab! I’m all about first impressions. 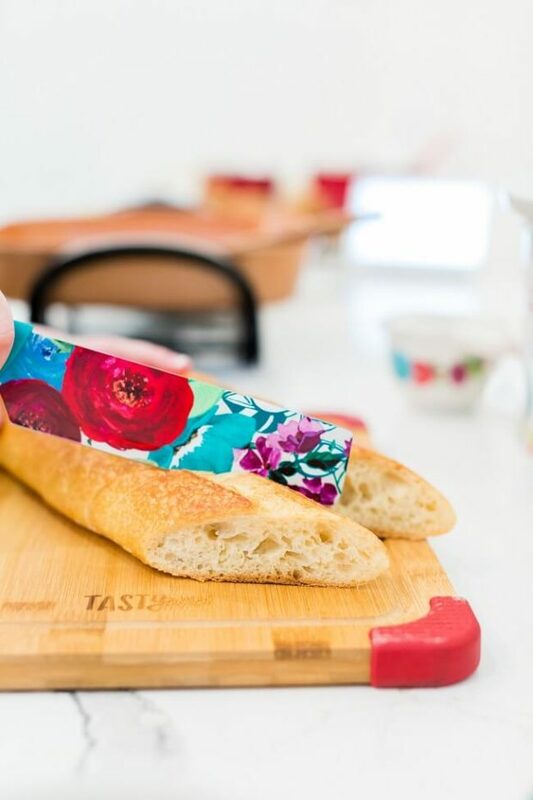 Many of us do a lot of entertaining over the holidays, so of course you want to wow your guests. And quite honestly, I find it’s important to my own mental health to have pretty things around me in day-to-day life. 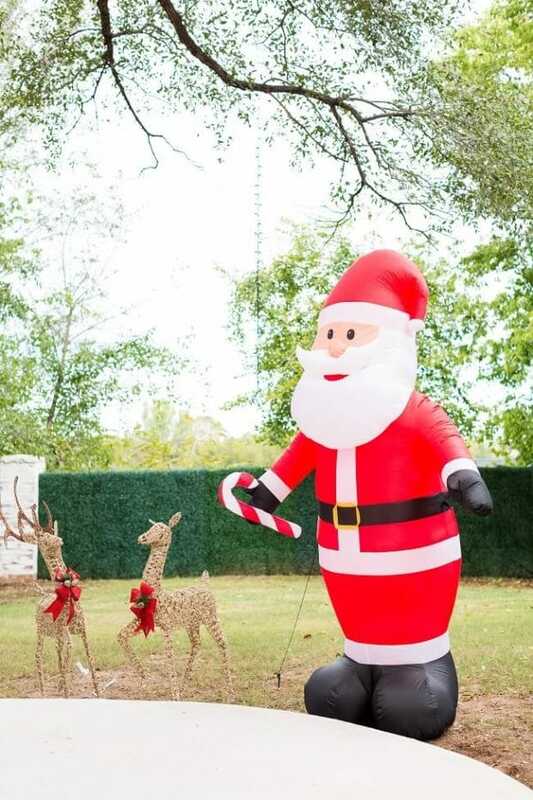 What better way to say a big welcome than a fun yard ornament. Not only do I think it’s cute, my boys are absolutely enamored with them. I have a feeling our collection will be growing by the year. I’ve intentionally created a neutral living area in my home. Why? Because then I grab all the fun pillows and blankets and change out the look every season. I’m completely obsessed with the soft, warm blankets and buffalo check pillows at Walmart this year! 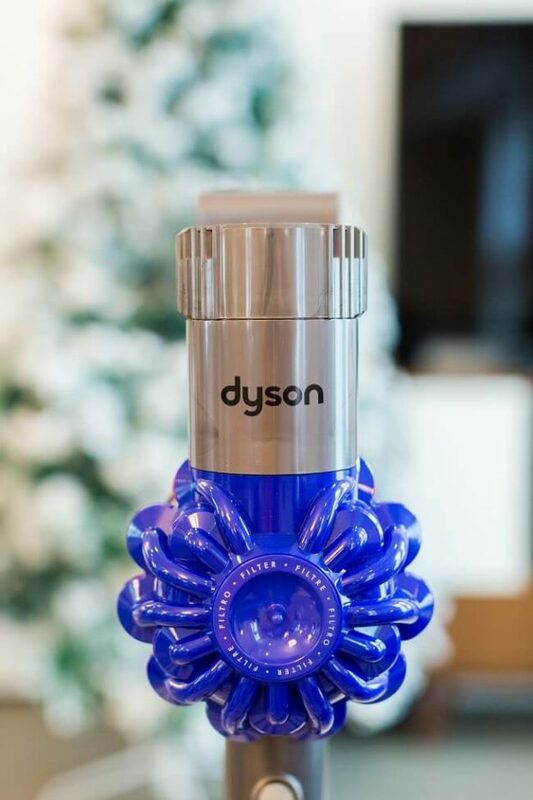 The Dyson Cordless Stick Vacuum is a life saver for me. It’s perfect for all the little messes that get made in my house on the daily. (Three boys, two cats, one dog… I need help, y’all). 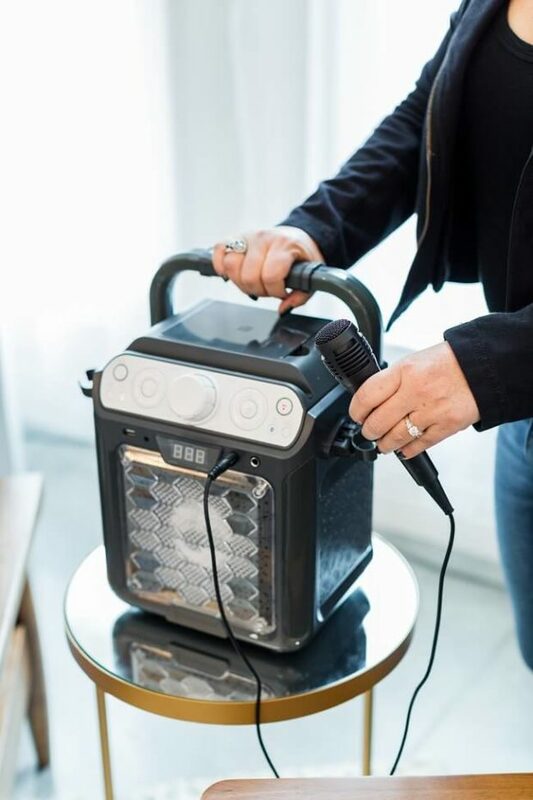 It cleans up thoroughly and powerfully and then charges quickly — ready for more! Another secret weapon for holding onto my sanity: the Shark Ion Robot. 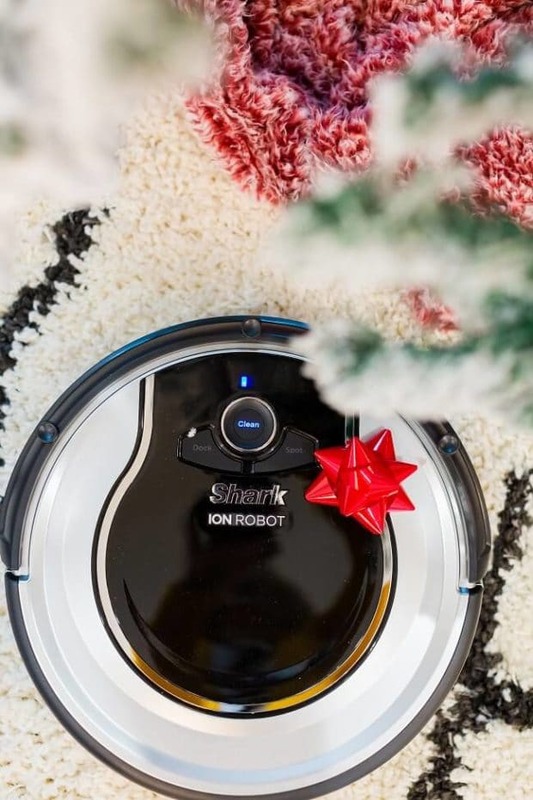 It’s Walmart’s exclusive robot vacuum from the trusted Shark brand. You can schedule it by robot and it self-docks when it needs to charge. This little guy works tirelessly so I don’t have to. Brilliant. Do you have guests coming? Walmart has lots of beautiful options for bed linens and towels. I’m kind of obsessed with the towels: they’re super plush, hotel quality with very low lint. Unfortunately, things can often get so busy that we overlook quality time with those we love. I encourage you to consciously plan special moments with your people. You won’t be sorry. You’ll love the memories you create! 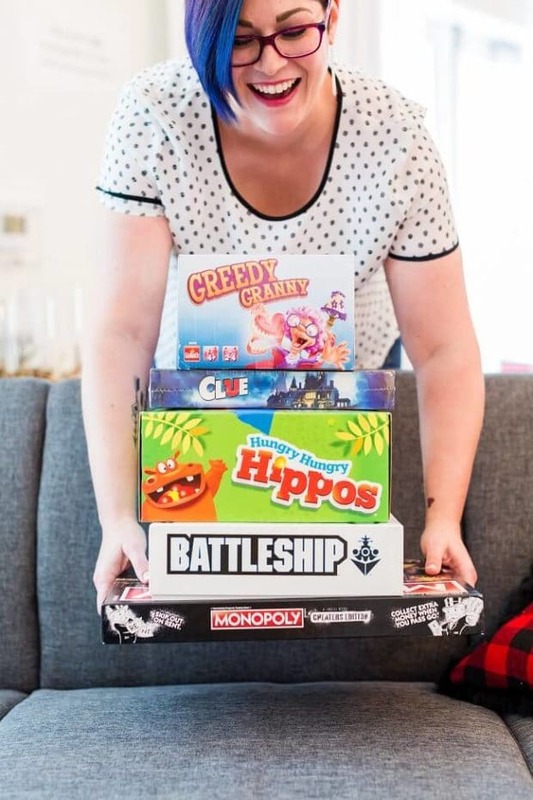 Now that my kids are a little older, our whole family loves enjoying game night together. We take turns choosing the game and the snack and then the fun begins. These are truly some of the evenings I hold closest to my heart. Walmart has a great variety of new, trendy games plus favorite classics available. I’m stocking our toy shelf with some new options! My gang also loves a good dance party. Blast some of our favorite music and we’ll all be singing and dancing along. This karaoke machine means we can really have a singathon together! In the middle of all the fun, be sure to capture the memories. 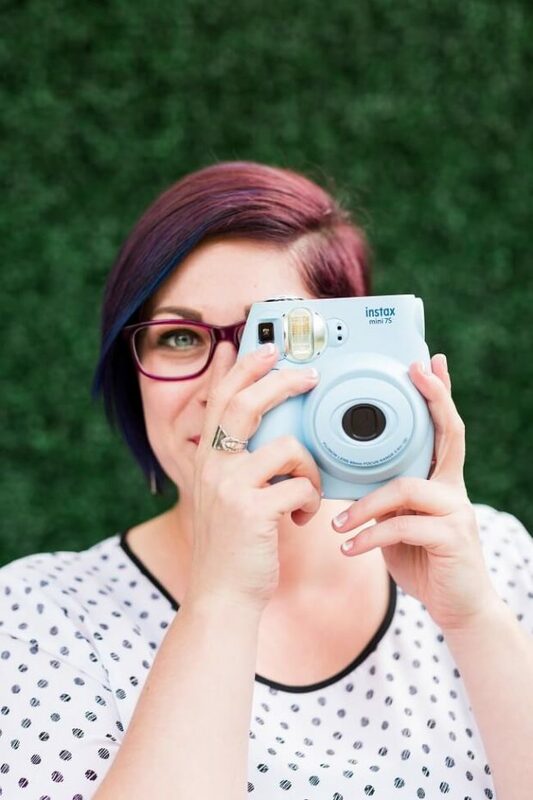 Our family loves using the FujiFilm Instax Mini. It’s a great opportunity for my younger boys to use a real camera! If you’ve been around Spaceships and Laser Beams for very long, you know that food is near and dear to me. I’m a total foodie! Naturally, I think that part of your holidays should be spent in the kitchen. Especially after you snag the great deals on kitchen supplies at Walmart Black Friday! 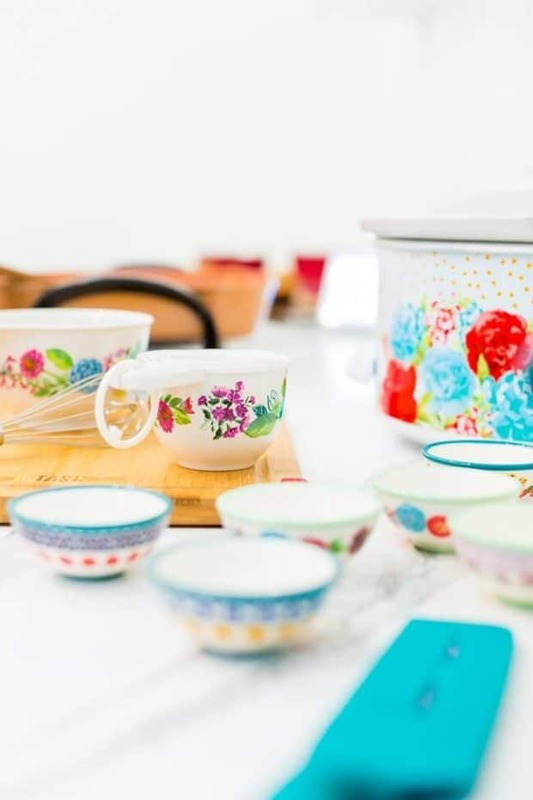 Let me tell you: I am obsessed (completely, fully, totally obsessed) with the line of Pioneer Woman kitchen gadgets. They’re all completely exclusive to Walmart, so you won’t be able to find them anywhere else. The prints and colors, you guys. They’re beautiful! I want them all. The 20-piece set is perfect for prepping holiday meals and gifting under the tree! 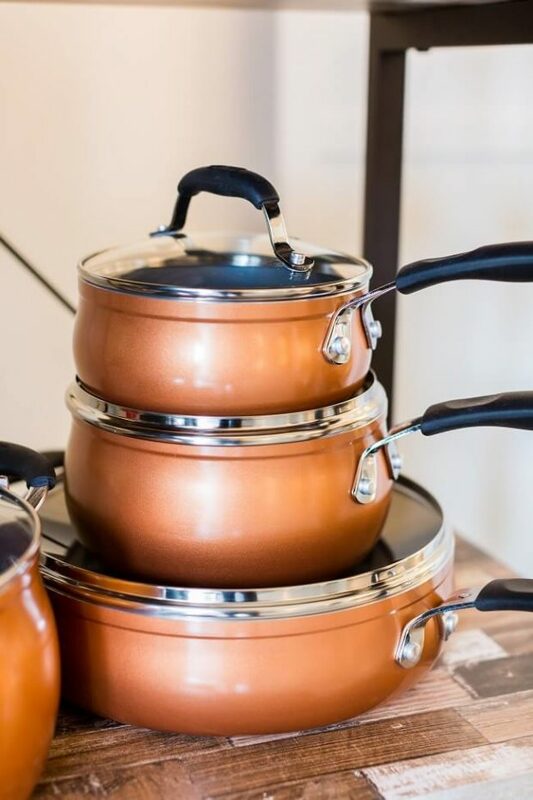 I’m also a huge fan of the Red Copper pans. 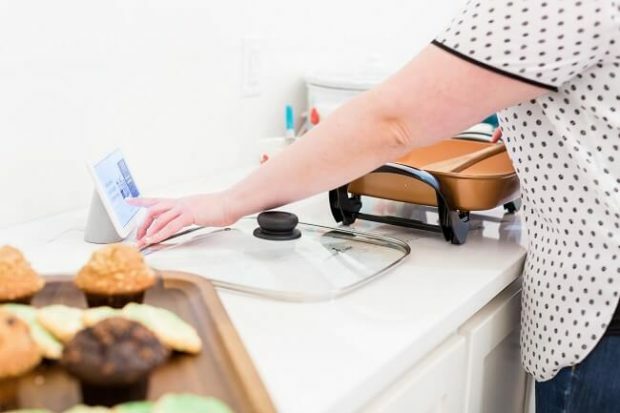 The electric griddle is perfect for one pan meals or when my stove is already full and busy. And they work! You will not deal with things sticking or being burnt on. 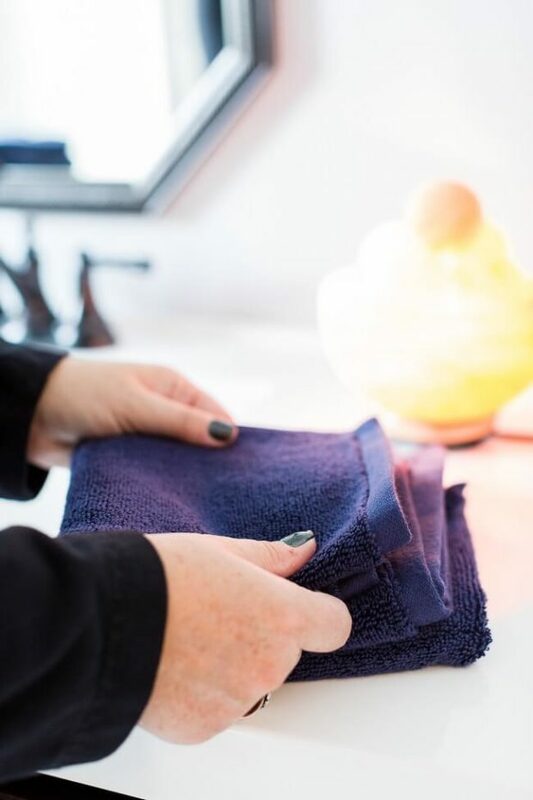 And you don’t have to scrub relentlessly either to get them clean. I love them! Walmart has an exclusive line of Tasty cookware as well. It was recently rated #3 in all non-stick cookware in an independent study. This exclusive 30-piece set comes in three color options: light blue, bright red or a gorgeous copper. Each set also comes with a Google Home Mini. Google Home is changing how cooking happens in the kitchen. You can stream music or ask Google for help and to pull up recipes. A must have gadget for any home! I hope you are feeling inspired and excited for your upcoming Walmart Black Friday shopping. There are so many incredible ideas for gifts — and of course, to make your home even more magical this holiday season — I hope you snag them all!